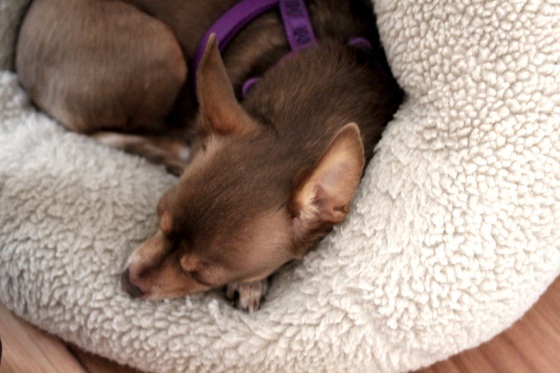 I have a very depressed dog on my hands. She’s been clingy, pouty, lazy and whiny. Our crazy weather is taking a toll, she can’t stand the high winds in her ears and always wants to go outside, but can’t end our walks soon enough when I drag her out. Poor thing, I keep trying to explain to her we might see some sun by Sunday, but that’s just not good enough. Since the weather is horrible for gardening outside, I’ve been doing plenty of growing inside. 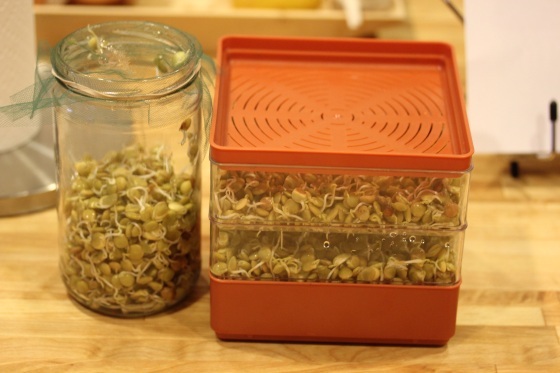 I stashed this sprouter in the back of my pantry months ago after having mixed results with it growing small sprouts. But I broke it out to try sprouting lentils to see how it stacked up to jar sprouting. And it performed the exact same, all the lentils sprouted about the same time and no fuzz problem. 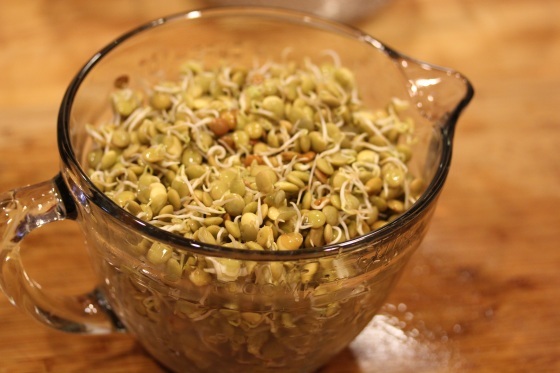 It was more time-consuming to rinse twice daily having to separate the trays to do so, but it also produced a lot more sprouts. So I think I’ll be using it a lot more for sprouting beans. Now, anyone want some sprouted lentils? 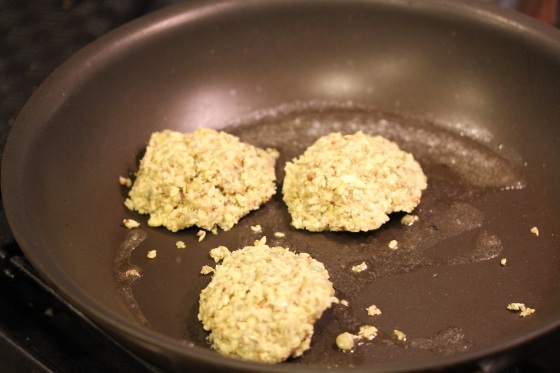 Never mind, found a great recipe for sprouted lentil burgers to try for dinner. :-) I followed the recipe exactly dumping just a cup of the lentils in my food processor with the rest of the ingredients and processed heavily. Then pulsed the rest of the lentils in. I melted some Earth Balance in a skillet to fry the patties in. But, they completely disintegrated into crumbs when I tried to flip them. I reassembled the patties and tried again and they disintegrated again. Fine, then I just dumped the rest of the lentil mixture into the skillet for a lentil ground meat alternative and crisped the mixture slightly. 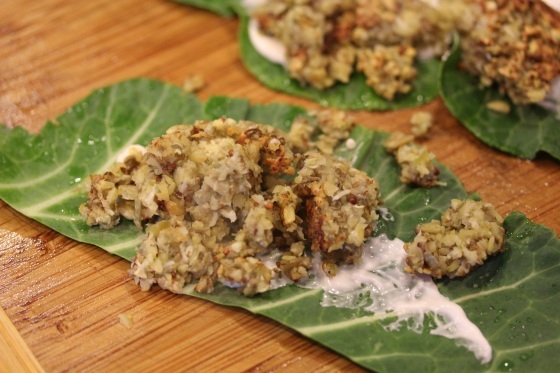 And layered the grounds onto a collard wrap smeared with Vegenaise. 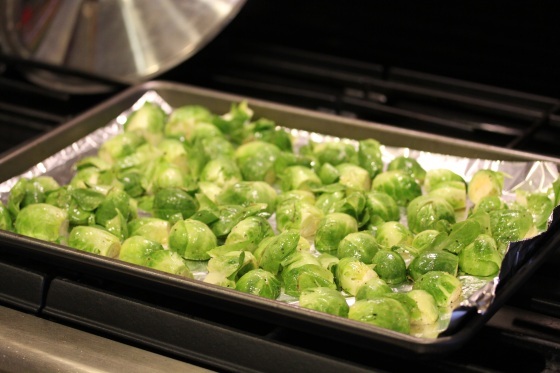 While I was making a mess trying to create the burgers, I had brussel sprouts roasting in the oven that I just tossed with a little olive oil, salt and pepper. And somehow managed to over-roast them after only 30 minutes – I’m on a roll tonight! 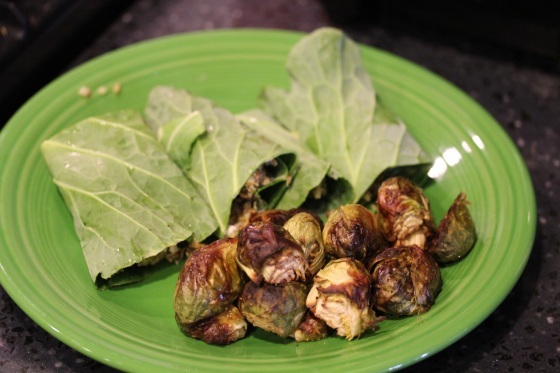 :-) But, the brussel sprouts, while a little crispy, were still edible and even tasty. 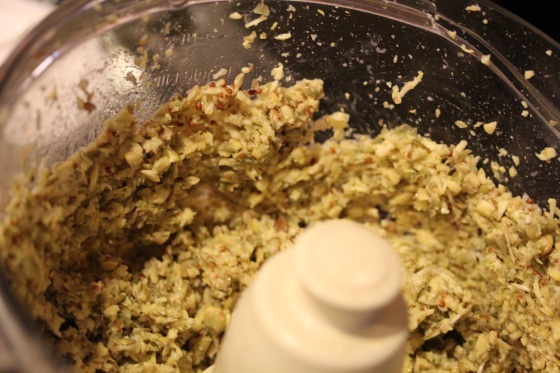 Have you ever tried homemade lentil burgers? 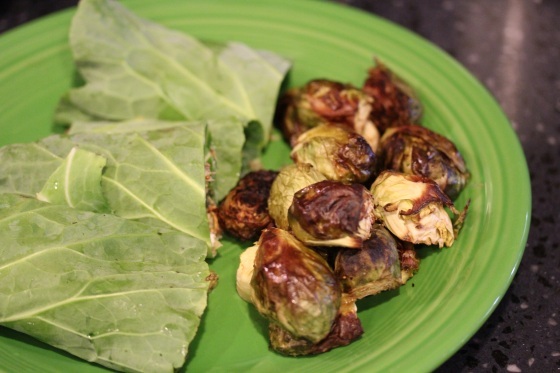 Frankly, I think your charred brussels look awesome! That’s how I like ’em! Oops, I forgot to mention that I bought one of those stackable sprouters last week. It’s round with three layers. I’m going to try it this weekend too — and compare it to the new hemp sprouting bag I got too. Nice, can’t wait for your opinion on the sprouter, I’m trying buckwheat grouts in mine this weekend. The sprouted grounds were actually good, a little spicy, crispy and rich. The leftover crumbles were great in my dinner salad tonight. you win some, you lose some with getting things to “stick” together. burger form or crumble form, it all looks great to me! and the sprouting tray…i have one that a company sent me. i have this fear of messing up the sprouting process. I have the tray and a full bag of dry lentils. I need to just get over it and rinse them and lay them out and just do it, huh! 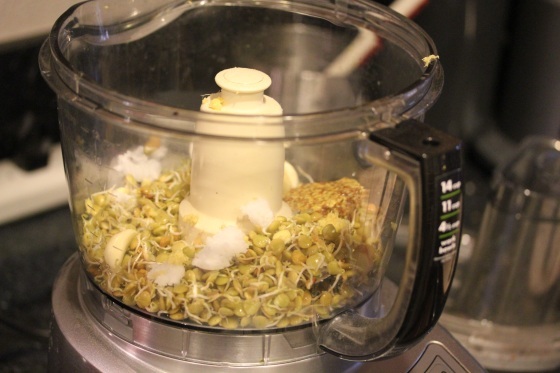 You should totally try sprouting, as long as you rinse twice a day, the sprouts should come out fine. I think sprouted will be my favorite way to enjoy lentils over the summer. I havent made anything but lentil soup so far — the lentil burgers sound awesome!!!! and they sprouted up like crazy! Would you make them again? or stick to other legumes instead? I would make the recipe again, the flavor was great – slightly spicy, rich and a crispy texture. 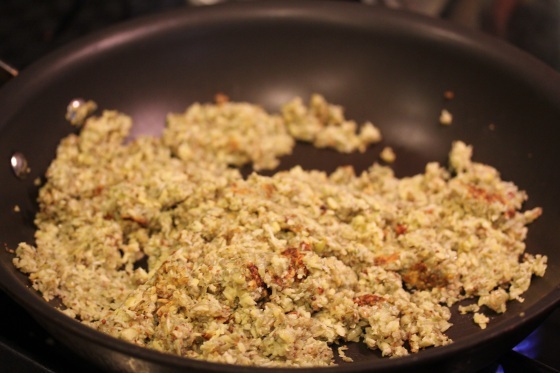 I might try processing the mixture longer hoping it might hold together for burgers, but I liked the crumbles too. i had a lentil burger in socal once at a restaurant but it had such little flavor. i’m def a fan of lentil soup though! btw, send me an email when you get a chance. i’m gonna be in oakland running the 1/2 for the running festival and was wondering if you were anywhere near there! i’ll be with a friend but i’m sure she’d love to meet up too if you can! 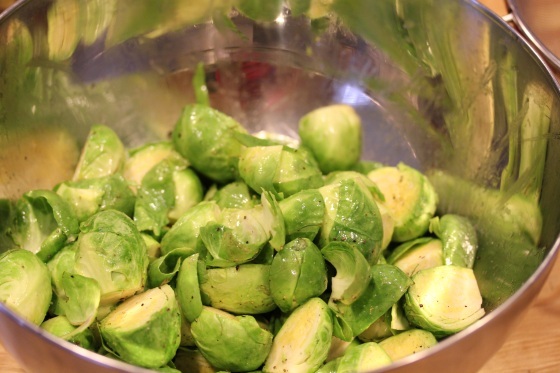 I love sprouts I have never thought to char them definitely need to try that one out yours look delicious!